Arriving at The RSC on a Saturday evening (two weeks ago – oops) in October, I realised that I did not have a clue what Troilus and Cressida is about. All I knew was that there was a ‘Mad Max’ feel to the production (confession number two – never seen it) and there had been a lot of positive hype about the production we were about to see. Just before the play began, Mr Bookwormandtheatremouse offered me a whistle-stop synopsis which basically told me it was set during the Trojan War (something else that is not my forte). However, once the action began, my lack of background knowledge was not a problem. 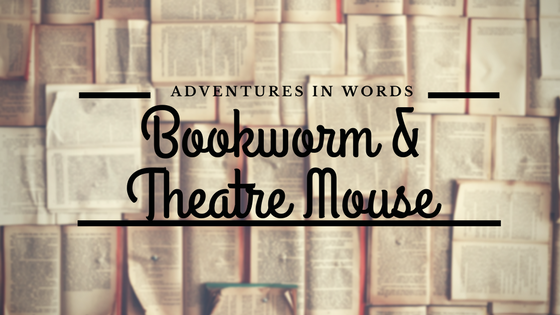 This story contains everything that I think makes a good play – humour, intrigue, action and a little bit of tragedy. You certainly can’t fully categorise this play into any niche as it is peppered with a little bit of everything. Central to the plot is the power struggle between Greece and Troy. Well, in fact, power struggles as a whole. There are a lot of games played throughout to really find out who is top dog, or so that someone gets exactly what they want. Our star-crossed lovers (I know, traditionally a different play) are caught up amongst all the power plays, mainly thanks to Pandarus. This play certainly keeps you on your toes as the tension builds and the action unfolds. The setting of this play may not be traditional but it works. The costumes are stunning, the set so versatile and the casting excellent. Although some characters may not be their ‘traditional’ gender, it is certainly the best actors in the role in every case. The percussion, from the imagination of Evelyn Glennie, is perfect. Wonderfully performed throughout, it gels with the whole production. So, for dare I say it, little known Shakespeare play, I was enthralled (and certainly need to brush up on my ancient history) and, for me, it has one of the best closing lines ever – ‘And at that time bequeath you my diseases’ (delivered perefectly by Oliver Ford-Davies).